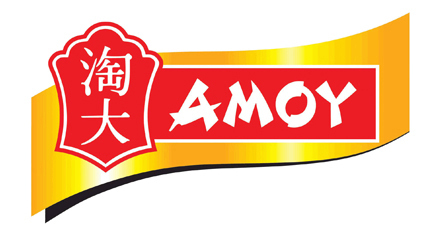 Delicate pastry and flavorful fillings featuring a range of gourmet ingredients make Amoy’s Asian potstickers varieties favorites on any menu. Served crispy or steamed, the result is authentic flavor that satisfies with every bite. Gourmet potsticker folded in a spinach and basil infused paper-thin pastry and filled with tender vegetables, bean vermicelli and authentic Thai seasonings. Ground turkey coupled with vegetables folded in authentic pastry. Perfect for steaming, pan frying or deep-frying. Tender vegetables folded in a delicate pastry form these “one-bite” potstickers. Shrimp and vegetables folded in a delicate pastry. Ground pork coupled with vegetables folded in authentic pastry. Perfect for steaming, pan frying or deep-frying. A gourmet version potsticker made with duck wrapped in paper-thin pastry. A gourmet version potsticker made with chicken wrapped in paper-thin pastry. A gourmet version potsticker made with pork wrapped in paper-thin pastry.